Error sending: the product you received is not requested. Error or defect in the product: If printing on the skateboard, longboard and cruiser contains a clear and obvious defect print. Print any claim or SlipLayer excluded after the use of the skateboard, longboard and cruiser. In either case the customer must send the material to PRO MODEL DECK a street Blessed, 4 under, 30012 Murcia, tel. 968 26 81 91. After reviewing the defect and confirmed by us proceed to change or rectify the defect and subsequent delivery as quickly as possible. MODEL PRO DECK only takes charge shipping * Customer and no reception. Being a customized product and subsequent sale is impossible in any case the purchase amount will be refunded. 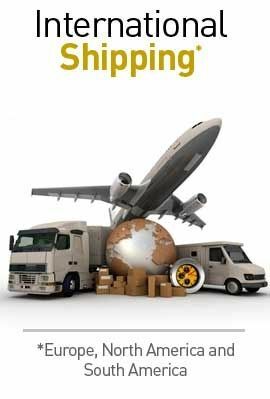 * Shipments to Spain (peninsula), the forwarding back to the Balearic Islands and the rest of Europe will be charged to the customer. The product has not been used and have the original packaging. The product has been handled or processed. The customer must send a PRO MODEL DECK Calle Santisimo, 4, 30012 Murcia, tel. +34 968 26 81 91. Once reviewed and confirmed the perfect product status changes or proceed to refund excluding the cost of the first shipment (return of the single amount of the product excluding shipping). All refunds will be made by bank transfer to the account number you provide the customer. Outside the European Union the prices are VAT-exempt (taxes), you may receive the package to your country Extra expenses are incurred at customs (tariffs). Such expenses will be paid by the customer in all cases.